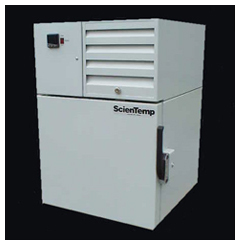 The ultra low bench top freezer model 86-01 is a ruggedly built, compact bench top freezer which can operate from -50°C to -86°C. It features an all-steel construction, inside and out with key-lockable door, microprocessor-based digital temperature controller and cfc-free refrigerants. Ideal for clinical trials! 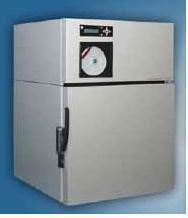 This ultra low bench top freezer is perfect for storing or testing products to ultra low temperatures as low as -86C. 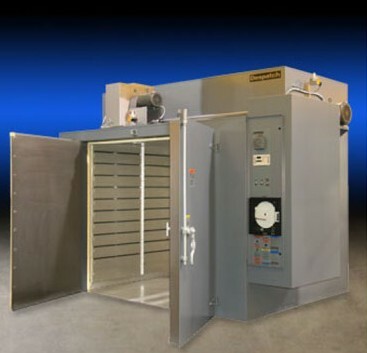 It is small in size but does not skimp on construction or features with its welded steel body and frame for greater strength, microprocessor based controller for precise, accurate temperature control, hermetically sealed, two-stage compressor system for durability and a temperature-rise/power failure alarm with battery backup and key-lockable door for security. It is also available with a host of optional accessories like chart recorders, access ports and more. For use in laboratory or industrial applications where performance, quality and floor space are valued. Environmentally safe, high density, non-settling urethane foam. R508/R134A CFC-free, non-toxic, non-combustible, non-zone depleting refrigerant. 28.5" x 20" x 22"
11" x 12.25" x 12"